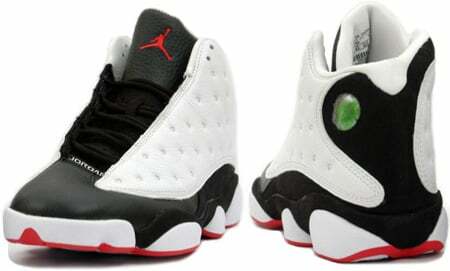 The Air Jordan 13 apart of the Countdown Package, which will also contain the Air Jordan 10 is releasing January 19th 2008, with a retail price of $310.00. Each Air Jordan Countdown Pack will equal the number 23, for example the Air Jordan 13 plus the Air Jordan 10 equal 23. The Air Jordan 13 Countdown Pack is a great moment in sneaker head history.